Buxaburn (aka Warbux) is a Hip Hop recording artist from Santa Ana, CA, promoting his new album: Buxaburn “The Distance”. Produced by Bo’kem Allah. Buxaburn the seasoned veteran is heavily influenced by Reggae, Funk, Rock n Roll, Blues and Soul. Once being a member of a Rock Band, and a Gangster rap group at the same time, makes Bux a very dynamic, socially aware, and street-smart artist. One who blesses the music with message, but manages to let the good times roll at the same time. You will hear multiple styles of MC’ing, and a very high level of skill, energy, and delivery, when tuning into Buxaburn. The second single and video from “The Distance” is entitled: Buxaburn “Rebel’s Delight”. Here you find Buxaburn paying homage to the supergroup “Public Enemy”, and expressing his views on the current status of society. This is all done over intense production from Bo’kem Allah’s gritty remake version of the 1987 smash hit, “Public Enemy No. 1”. 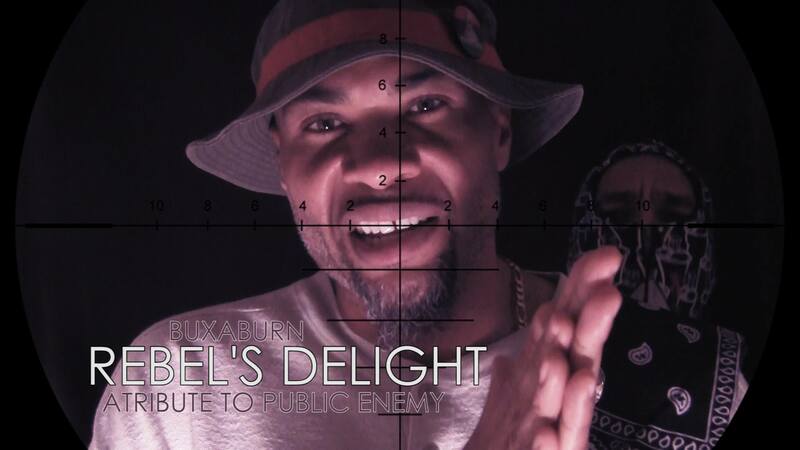 Rebel’s Delight is a crucial song and video relevant to the times we live in, where Buxaburn swings another fist in the freedom fight for justice and equality, in respect to the movements: #ICANTBREATHE and #BLACKLIVESMATTER.